अथ योगानुशासनम् atha yoga-anushasanam is the first of Patanjali’s Yoga Sutras. There is much to be said by scholars on the exact interpretation and meaning of this sutra but the gist of it is this: Now begins instruction in yoga. There is no time like the present and it is the only time we ever have so let’s spend it wisely. Yoga helps us to connect to the present moment and realize our true nature. Our breath is a powerful yet subtle force that we explore deeply in the Ashtanga practice. The more you explore it the more interesting it becomes. We are starting our first full week at Woodstock Yoga this Monday! Mysore classes will be held Monday through Thursday from 6:30 AM – 8 AM. Sunday Mysore classes will remain at our home studio for the time being. There is a Chinese proverb that states, The best time to plant a tree is 20 years ago. The second best time is now. And so it is true for beginning a regular yoga practice. But especially right now, while we only have a handful of students, it is the perfect time to get started if you are new to Ashtanga as you will get plenty of one-on-one attention. Beginners welcome! Led classes will be added to the schedule on Saturdays beginning Labor Day weekend. And on October 8th Laura will be teaching a workshop at Woodstock Yoga that will sweep you up in the energetic spirit of Ashtanga. 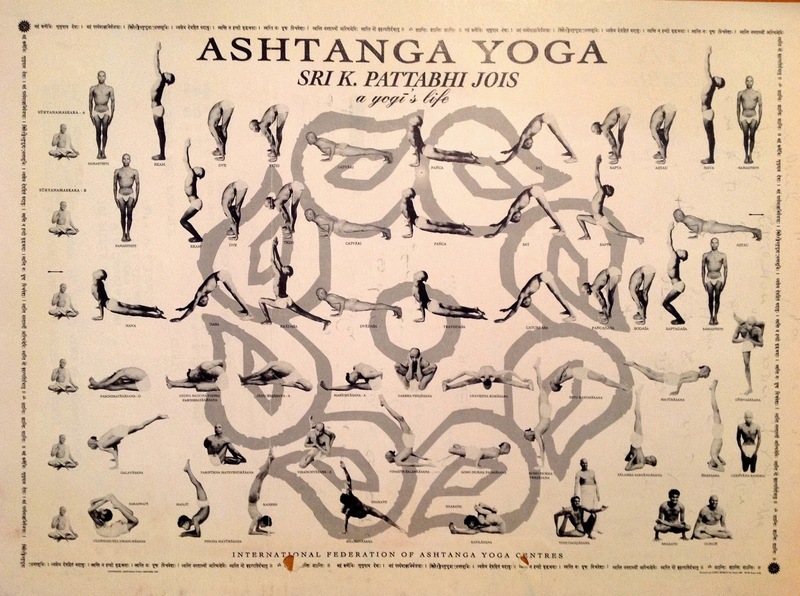 In this 2-hour workshop Laura will introduce you to the history and tradition of Ashtanga Yoga. You’ll delve into tristhana–breath, dristi and asana; deconstruct sun salutes and vinyasa- the grounding force of the practice — and then explore the primary series, leaving time for questions and answers. This class will be open to all who are Ashtanga curious! Sunday 10 AM – 12 PM: Mysore style Ashtanga Yoga at our home studio 15 Chipmunk Lane, Woodstock, NY Please call or text 917-797-8272 if you will be coming to the home studio. Monday – Thursday 6:30 AM – 8 AM: Mysore style Ashtanga Yoga at Woodstock Yoga. There will be no Ashtanga classes on new and full moon days. The new moon will be on Thursday, September 1st. We hope to see you soon! And don’t forget to like Woodstock Yoga and Ashtanga Yoga Woodstock on Facebook. Click on the fs below :). This entry was posted in News by KJS. Bookmark the permalink.